These are the colors I used, you can use any colors you like. placing 3 sc in each of the 4 corners, join to the 1st sc. join to the 1st sc. Repeat From * to * working around the blanket. I Love This trim because it will work for just about any Style blanket, afghan or lapghan. and the Solid Granny Square. Join to ch 3, slst to the next ch2 sp , turn. 1 Dc in each dc across, turn, tie off, weave in your ends. sc evenly to the next corner, tir off and weave in your ends. And I bet you need a new shopping bag. you ready for The Farmers Market. 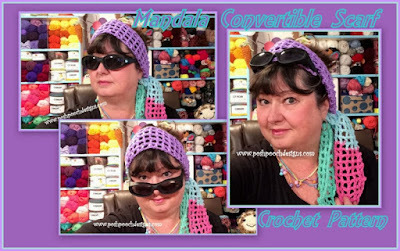 in this Free Crochet Pattern Collection. I began getting requests For More Easter Cross patterns. and put them together in a "Round Up Collection" for you. 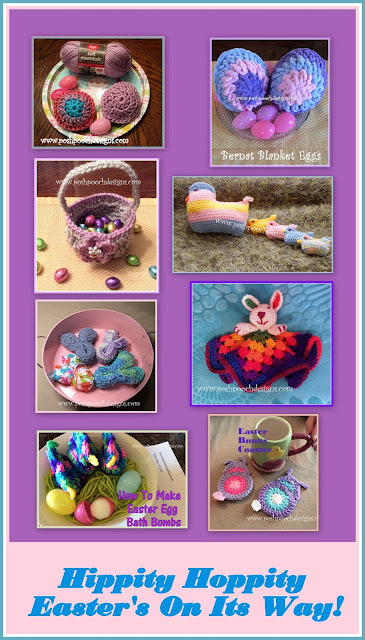 it is The LINK to where the free Crochet Pattern is located. and Lots of Yarnie Fun! Come On! Crochet With me! Is it "man doll ha" or man dah la"? Who cares the yarn is beautiful! 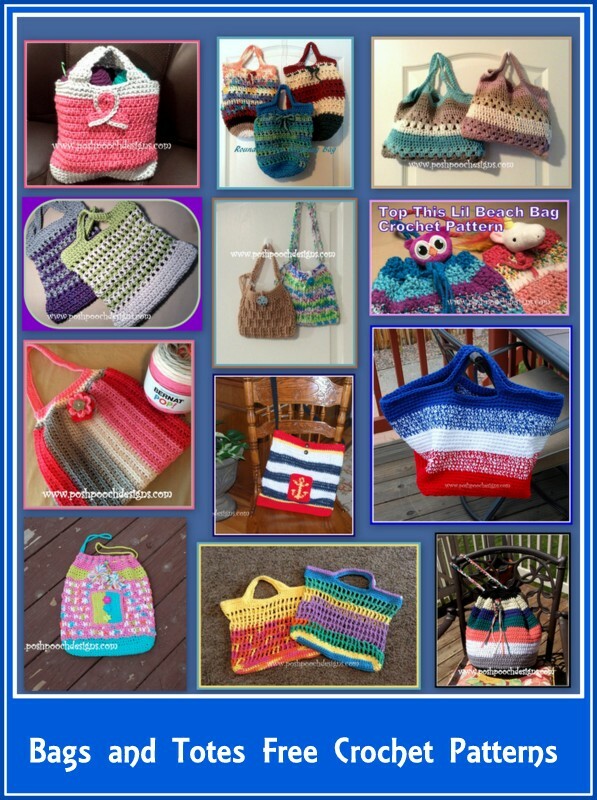 the yarn cakes out there. I Love all the colors combinations. Ombre, Sparkles, Wool Ease, Baby, and more. There both 3 and 4 Weight yarns. The New Mandala Ombre yarns! New some Quick Easter Ideas? is sitting next to my Momma on Easter Sundays at church. the people there. My Momma is in Heaven now. And I made this Cross to Honor her. All the Grand kids, and Great Grand kids Called her Granny. 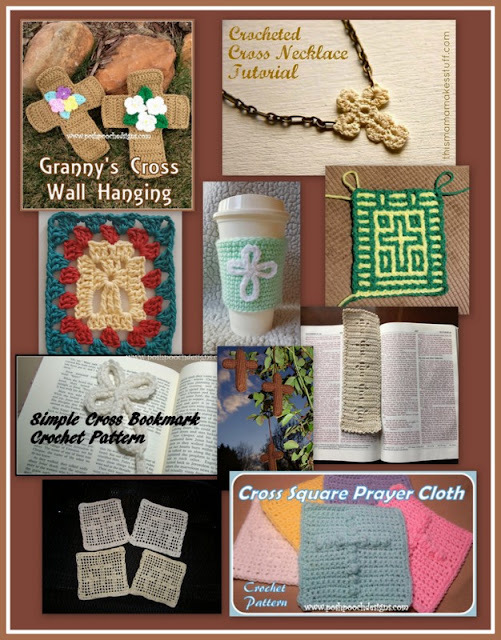 "Granny's Cross Wall Hanging" after her. But you can if you want too. I did not feel the stuffing was necessary. Cross is Stitched holding 2 strands of yarn together. R: 3 – R: 20 – Repeat R: 2, Tie Off weave in the ends. R: 23 – R: 25 – Repeat R: 22, tie off weave in the ends. Repeat R: 21 – R: 25 – on the left side of the Cross. Make sure the sides are even. Place the 2 crosses together, with the right sides facing out. Join yarn to bottom left side of the cross. sewing them together, place 3 sc in each of the 8 outside corners. Join back to the 1st sc, tie off, weave in the ends. Repeat 3 more times for 4 petals. Join to 1st slst. Tie off leaving a long tail for sewing on the Cross. Sew a bead to the center of the Flower. of yarn for sewing on cross. Weave in the other end. Place the 3 leaves in the cross and sew in place. Place the 3 flowers and Sew them in place. Make a hanger By chaining 10, tie in a knot and attache to the back of the Cross. dwelleth in God, and God in him."